It appears that the first of the remarks was intended to be sent as a private direct message to “The McLaughlin Group” new host Tom Rogan — note the “DM@TomRtweets” — but it was tweeted accidentally. The tweets were all still up more than 17 hours after being posted. Rogan also said he assumed Beckel’s mention of “Pat” was “McLaughlin Group” panelist Pat Buchanan, but that he also didn’t understand why he brought him up. Reps for Beckel and Fox News did not immediately respond to request for comment from TheWrap. 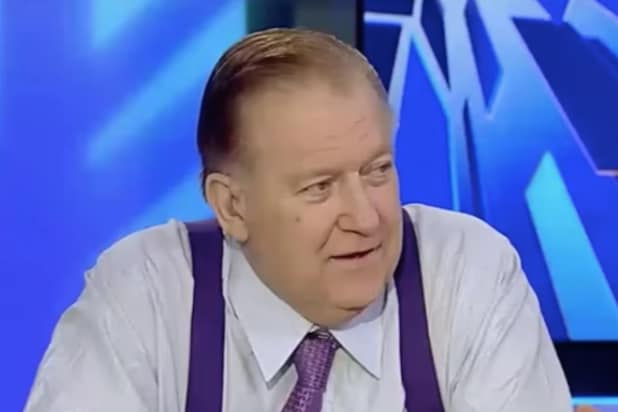 As one of Fox News’ outnumbered Democrats, Beckel spent years at the network during the heyday of its longtime CEO Roger Ailes and was a regular co-host of the “The Five,” which remains on the air today. The rebooted “McLaughlin Group” is currently broadcast by WJLA, a local but influential Washington D.C. station owned by Fox News’ increasingly muscular rival, Sinclair Broadcasting. Beckel, who first joined Fox News in 2011, was fired by the network four years later as a result of his addiction to painkillers. He was later rehired in 2017, but was again fired a few months later after he was accused of making an insensitive remark to an African-American employee. Today, he hosts his own podcast, Beckel’s Bob Cast, which you can listen to here.